Your dog scratching is bothering you? Any itchy dog concerns me. Poor pooch looks miserable, scratching, biting at his skin, jerking and then back to scratching again. What could possibly be causing such distress? There are many possibilities, but in this article, we will rule out the most common causes of itching and scratching in dogs. If the dog is only scratching his ears, ear problems could be the cause. Infections and ear mites can be treated successfully by a veterinarian. To rule this out, check inside the dog’s ear. The ear should be clean and slightly pink, the color of skin. If there is redness, bleeding, or a brown discharge with a bad odor, ear mites and/or infection is the likely reason. A veterinary will be able to rule out mites and treat them along with the secondary infection. That might take care of your dog scratching. If he is scratching in other areas, it is likely not caused by ear mites. Do you see your dog scratching on his whole body or is it localized itch in one spot? There are several reasons why a dog might scratch. Food allergies are quite common in dogs because there are many ingredients that are used in dog food that dogs do not need. Furthermore, it might not be the dog food that you are using at all, but the dog treats, chews, flavored toys, or even toothpaste that the dog eats regularly. Most of the more expensive, high quality foods do not cause allergies in dogs. The problem lies in the lower quality foods that include filler ingredients such as corn, wheat, soy, and oats. These fillers make it possible for their manufacturers to sell the dog food cheaply but they do not provide any nutritional value. Fillers are not the only source of allergens, rather anything that the dog is sensitive to could be the problem and that includes the protein sources, the carbohydrate sources as well as chemical additives. Though many blame the problem entirely on these grain sources, it is often the protein source in the food that is the actual culprit such as beef. The best way to find out if the dog is allergic to a specific ingredient is by eliminating everything but one item and then adding ingredients gradually. This method relies on a home cooked diet which may not be practical for all pet owners. 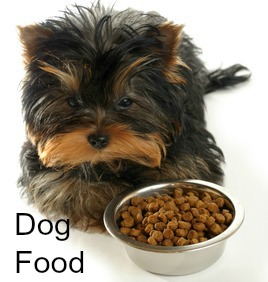 An easier way would be to choose a high quality dog food without the fillers listed and see what happens. Alternatively, your veterinarian may be able to prescribe a more hypoallergenic diet that uses unusual protein and carbohydrate sources that the dog has not encountered before such as fish and potatoes. Another type of allergy that causes dog scratching is caused by something found in the dog’s environment. Canine atopic dermatitis occurs when a dog becomes overly sensitive to something within his environment. These allergens, or anything that causes an allergy or hypersensitivity reaction, could be a variety of things found in the dog’s environment such as plant pollen, molds, dust, and grasses, chemical residues on blankets and bedding, and cleaning chemicals. This type of allergy needs veterinary intervention. Your veterinary may run allergy tests. They may also prescribe antihistamines or steroids such as prednisone to be taken by mouth. Special hydro-cortisone based shampoos also offer some relief. Sometimes allergy shots are used. If allergy testing is suggested it will be done by a skin test or a blood test. Once the allergic culprit is identified, the dog will receive a series of desensitizing allergy shots. This can be a very long drawn out process. Often the symptoms become worse before they get better during this desensitizing process because the injections include a small amount of the very allergen that the dog is allergic to. When scratching becomes severe, a secondary bacterial infection might occur which needs to be treated. 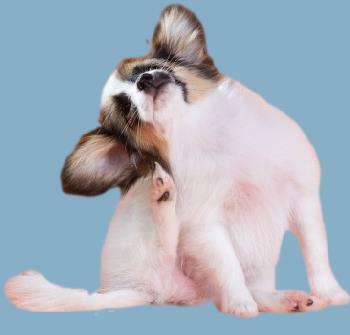 Fleas are an extremely common cause of dog scratching. Fleas on dogs can be very stressful and if the dog has a hypersensitivity to fleas it does not take a major infestation for the dog to be miserably. In fact one flea can cause tremendous discomfort. If you find out your dog does have this hypersensitivity, you will need to make sure he is on flea control year round. To rule out fleas, you will need to inspect your dog’s skin carefully. Fleas are tiny brown insects that live on the skin and coat of an animal during the adult phase of their life cycle. Fleas particularly like the abdominal area, base of the tail and the inner thighs. They jump from place to place and sometimes it’s easier to find their presence by the excrement they leave, tiny brown/black specks that resemble coarse black pepper. If you find fleas, you will need to treat the dog as well as where the dog lives including the entire house if the dog has access to it. Additional antihistamines or steroids may be prescribed by your veterinarian to assist with the hypersensitivity. If a secondary bacterial infection develops, your veterinarian may also prescribe some type of antibiotic. In addition to flea problems, Dogs can also develop scratching issues because of mites or fungal infections. Mites contribute to two types of mange problems, sarcoptic (scabies) and demodicosis. Demodicosis is caused by the demodex mite and also causes skin sores and hair loss. Mites are too small to be seen by the naked eye so diagnosis of this problem will need to be made by a veterinarian. The vet will take a scrapping of skin with the side of a scalpel and view it under the microscope. Treatment can be lengthy. The most common type of a fungal skin infection is ringworm. Contrary to popular believe, ringworm is not caused by a worm, but a microscopic fungal organism that invades the dead outer layers of skin. It gets its name because most infections resemble circular or ring shaped patches of hair loss and redness. Ringworm can also occur without accompanying itchiness. Dogs also can suffer from dry skin causing them to itch and lick their skin. You might also see dandruff and a dull, lack luster coat. Some of the most common reasons for dry skin include a poor diet, a poor shampoo, or possibly bathing too often or poor grooming. Is your dog scratching only during one part of the year? Dry winter weather and fatty acid deficiencies can also cause dry skin in dogs. If you are not bathing too often, no more than 2 or 3 times per month, and use a quality shampoo intended for dogs, it is safe to rule these two culprits out. If the dog has a long coat, does he have knots or tangles? If any exist, they can cause distress in the dog if the knots are very tight; the dog is likely to reach by scratching. Knots and tangles can make a dog miserable. If you’re bathing and grooming properly, then it’s time to examine the dog’s food. High quality premium dog foods promote healthy skin and coat. In other articles I will discuss dog food, but for the purposes of this article, suffice it to say that any dog food sold in a grocery store will not be a premium brand. Supplements might be necessary if you live in a dry climate. If wintertime scratching is a problem, then consider adding something to your dog's diet. NuVet Plus is an all round supplement that assists the immune system that promotes health and may help with allergies, itching and scratching as well as many other health problems. 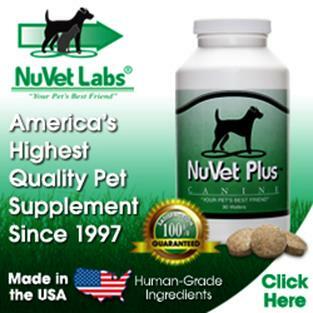 I give all my dogs a NuVet tablet everyday and it does seem to help keep them healthy. I also provide free samples to all my puppy buyers. The addition of Omega 3 and Omega 6 fatty acids may help prevent dry skin. A good choice for a Shih Tzu is Salmon Oil. I do not use Salmon oil year round, but wintertime it is almost mandatory. There are many good choices on the market but my favorite is Grizzly Salmon Oil. A few squirts on their food several times a week, and all the dry flaky hair is gone. You can purchase this product from Amazon, directly from this site. Click the link to the right. A veterinary exam is required to determine the source of the itching. The veterinarian will then prescribe medications to relieve the itching and other treatment options such as injections or antibiotics to treat any skin infections. Because of the differing opinions as to the cause of this serious skin irritation problem, there are many different treatments prescribed by veterinarians. Prednsone, a steroid may temporally relieve the itch and inflammation. It is not a long term solution. Antihistamines may be used as an alternative. Antibiotics are usually prescribed when infection is suspected. If the cause of the itchy skin is something other than allergies, dry skin or infections, the reason must be found. Cancer and hormonal imbalances must be ruled out by your veterinarian. Parasites? Fleas, Mange Mites? Ringworm? 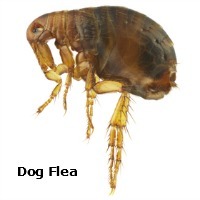 Inspect for fleas or other external parasites and treat to eliminate them. Bathe with a hypoallergenic or oatmeal based shampoo; do not use human or perfume scented shampoos. Grab our Newsletter "Tzu Tips"
Get the latest on everything Shih Tzu. Sign up today for our monthly E-zine. It's free! I have read and accept the privacy statement. You don't like eating the same thing everyday and neither does your dog. Fill a pawbox with delicious superfood for your Shih Tzu. Quality AKC Shih Tzu Puppies for Sale in Ohio breeding for health, excellent personality and conformation. Miracle Shih Tzu is a participant in the Amazon Services LLC Associates Program, an affiliate advertising program designed to provide a means for sites to earn advertising fees by advertising and linking to amazon.com This site receives a small commission from all affiliate links and third-party advertising.